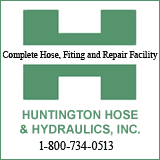 The Huntington Water Quality Board will begin repair work on a sewer main collapse at Ninth Street and Third Avenue on Thursday, Jan. 3. At that time, 9th Street from 4 ½ Alley to 3rd Avenue will be closed to vehicular traffic. Third Avenue will remain open to traffic in both directions, with slight traffic diversions at the 9th Street intersection. Conditions may change and additional lane closures may become necessary once excavations begin for the line repair. A collapsed brick sewer line will be replaced. In Barboursville, a break occurred Dec. 31 at Martha Road and Fourth Camp Street.